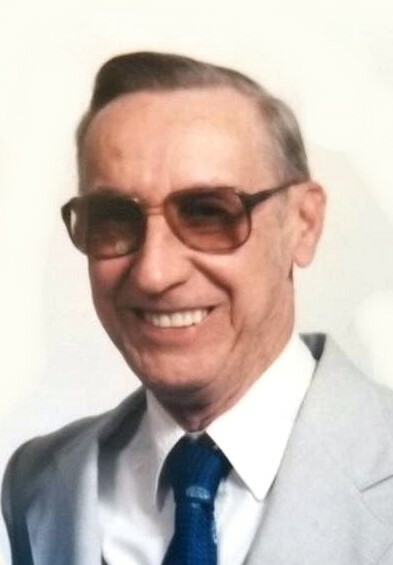 Donald L. Wagy, 86, of Quincy, passed away at 6:48 p.m. Sunday (October 14, 2018) in Good Samaritan Home. Born November 14, 1931 in Adams, Illinois, Don was the son of Frank and Gertrude Richmond Wagy. He married Mildred Leona Heimer on June 11, 1955 in Omaha, Nebraska. She preceded him in death on January 21, 1978. He married Virginia Lee Smith on February 10, 1979 in Quincy. She preceded him in death on July 25, 2018. Mr. Wagy served his country in the U. S. Army during the Korean War. Don was an avid bowler and belonged to many leagues over the years. He enjoyed listening to country music, watching Nascar and was a fan of the St. Louis Cardinals. Don and Virginia loved camping and traveling, especially their trips to Branson and Nashville, eating out and playing board games and cards with family and friends. A 1949 graduate of Quincy High School, Don began a 30 year career with the United States Postal Service, working at the downtown St. Louis postal facility and later at the Lambert Airport facility as a clerk and mail handler. He retired in 1988 and became a member of the National Association of Retired Federal Employees (NARFE). Survivors include his daughter, Marci Fessler (John) of Fowler, IL; four sons, David Wagy of Stillwell, IL, Steven Wagy of St. Louis, MO, Robert Wagy of Florissant, MO and Jesse Wagy of Jefferson City, MO; ten grandchildren, Moriah Miller (James) of Ft. Worth, TX, Jenna Edwards of St. Charles, MO, Heather Wagy of Florissant, MO, Samantha Wagy of Stillwell, IL, Milynda Wagy of Stillwell, IL, David Wagy Jr. of Stillwell, IL Joshua Britt of Quincy, Ashley Johnston (Collin) of Hannibal, MO, Krystal Britt-Merrick (Jeff) of Chicago, IL and Cameron Wagy of St. Louis, MO; a sister, Shirley Weyand of Quincy; and many loving nieces and nephews. Don was preceded in death by his parents; his two wives, Mildred and Virginia; a daughter, Debra Wagy; two brothers, Harold Wagy and Frank Melvin Wagy; and three sisters, Irene Bolinger, Mildred Quincy and Velma Woodward. Funeral services will be held Friday morning at 10:30 in the Zehender Robinson Stormer Cookson Funeral Home with Pastor Terry Henry officiating. Burial with Military Honors by the Quincy American Legion Post 37 and the Illinois National Guard Funeral Honors Detail will be in Greenmount Cemetery.